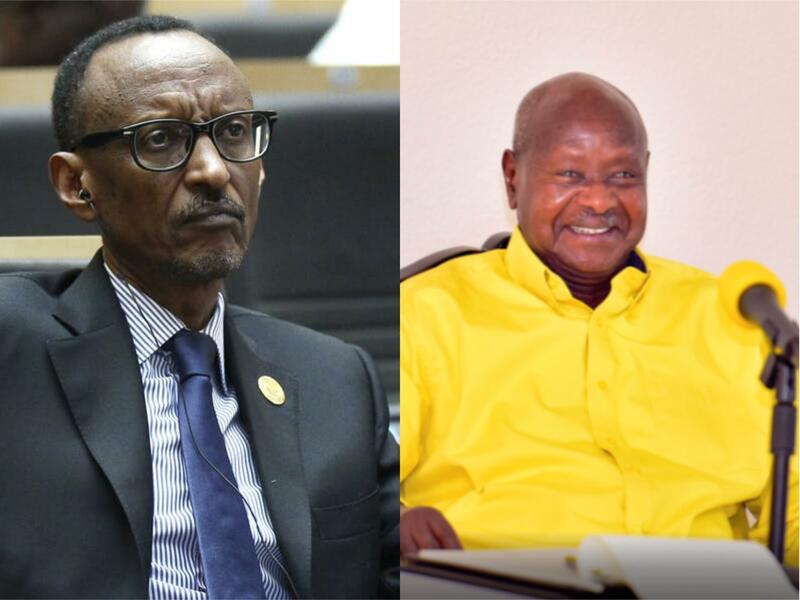 KATUNA – A diplomatic feud between Rwanda and Uganda has stopped most cross-border movements between the two countries, a situation that has had a huge effect on daily life for families in both countries. A young Ugandan man – Deo Hategeka – expressed his anger and frustration that his means of earning a living had been disrupted by the border row. A warning by Rwanda‘s government to its citizens not to travel to Uganda has meant no business for the traders. Early this week, grief and sorrow engulfed the Ugandan side of the border at Kyanika after a pregnant woman in her mid-30s collapsed and died trying to flee Rwanda Army who tried to stop her and others from crossing over to Uganda to look for food. 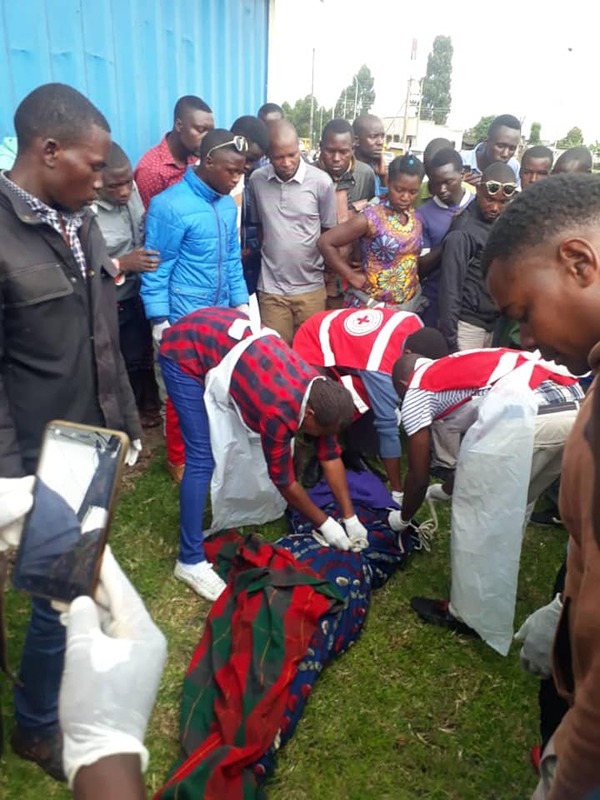 Kigezi Regional Police Spokesman Elly Maate confirmed the incident and identified the deceased as Mukarugwiza Elizabeth aged 37 years and was a wife to Hakizimana Dan a resident of Kingi Village in Nyamirima, Musanza District in Rwanda. “We have registered a case where a Rwandese National who was escaping arrest from Rwanda Army as she tried together with others to enter Uganda and buy food,” Maate said. Rwandan authorities have since trashed this. Rwandans who live just across the border say they buy basic food like potatoes, tomatoes, and fruits at the closed Cyanika border post. A key feature of border towns is the big market days, which are mostly on the Ugandan side of the border. Activity in these markets has pretty much ground to a halt without Rwandan customers. 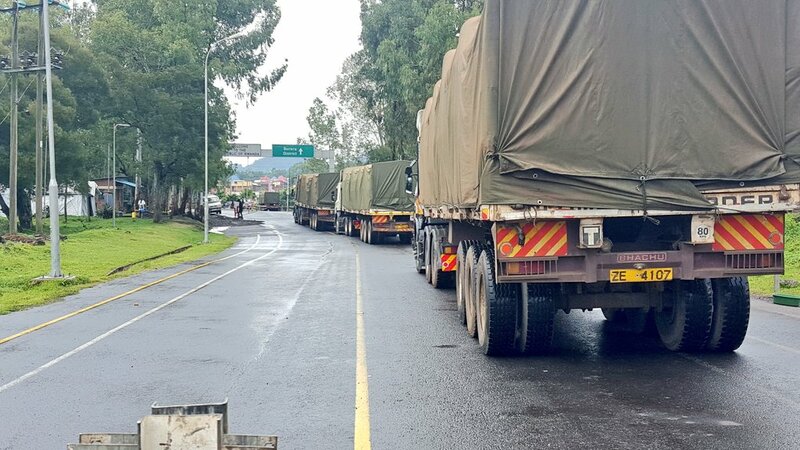 Trucks taking goods to Rwanda and other neighbouring countries like Burundi and the Democratic Republic of Congo were stopped at some border posts, been delayed or had to use the much longer route via the Mirama Hills crossing. According to statistics, Rwanda was Uganda‘s fifth biggest export market, selling about $180m worth of goods. Rwanda meanwhile exported $10m worth to Uganda. Whereas traders in each said are calling for the trade to return to normal, President Yoweri Museveni recently told ruling party lawmakers that stoppage of Ugandan exports to Rwanda will have no impact to the economy. Museveni was speaking to National Resistance Movement (NRM) Parliamentary Caucus retreat at the National Leadership Institute (NALI), Kyankwanzi. Rwanda‘s Foreign Minister Richard Sezibera told the press earlier this week that the government in Kigali was making efforts to ensure its citizens were not faced with shortages or price hikes. Mr. Museveni and his Rwandan counterpart Paul Kagame are intrinsically linked. Mr. Kagame and other members of his Rwandan Patriotic Front fought alongside Mr. Museveni in the 1980s. In return, he supported their struggle in the 1990s. But they have fallen out over the years, including facing off in military clashes during the late 1990s war in the Democratic Republic of Congo when the two countries supported rival rebel groups trying to oust the then President Laurent Kabila. 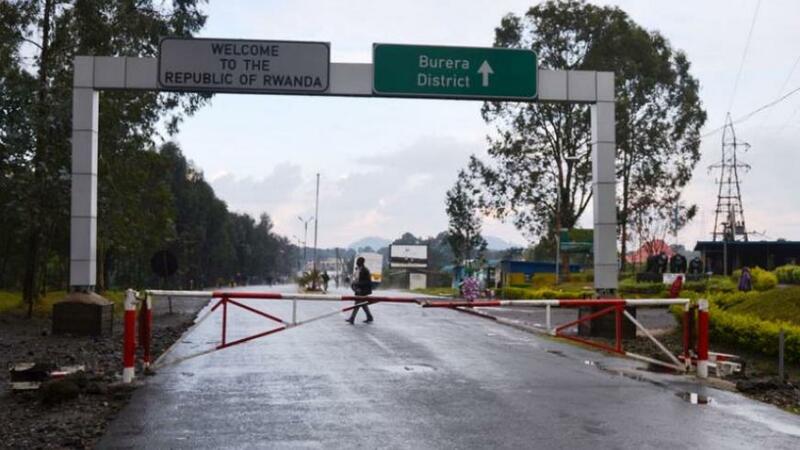 When the first cargo trucks were prevented from crossing into Rwanda, the Rwandan government released a statement saying this was because of construction work at the busy border post of Katuna. Mr. Sezibera has accused Uganda of supporting rebel groups trying to oust the government in Kigali. 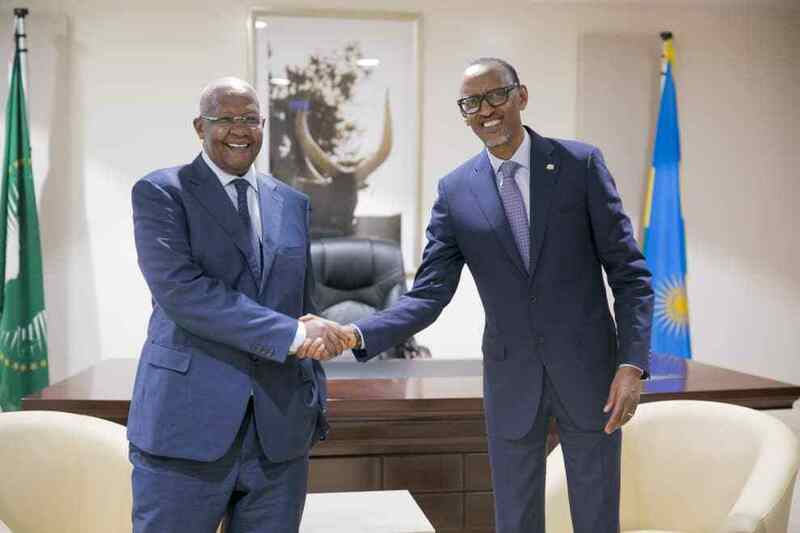 Minister of Foreign Affairs Mr. Sam Kutesa met with the President Paul Kagame of the Republic of Rwanda in Kigali last year. The government has not spelt out any specific grievances against Rwanda, although there is speculation in the press that Rwanda has tried to infiltrate Uganda‘s security apparatus. A prominent case being pointed to is that of Gen Kale Kayihura, former Uganda‘s police chief for more than a decade. Ms. Tabura was arrested and deported in January after being accused of undermining Uganda‘s security. Recently, Rwanda‘s foreign minister said his country was not interested in interfering with Uganda‘s internal issues. On the main highway leading to Rwanda, there were visibly fewer trucks and trailers – this could be a sign that exporters are waiting for things to get back to normal before sending in more cargo towards the border. 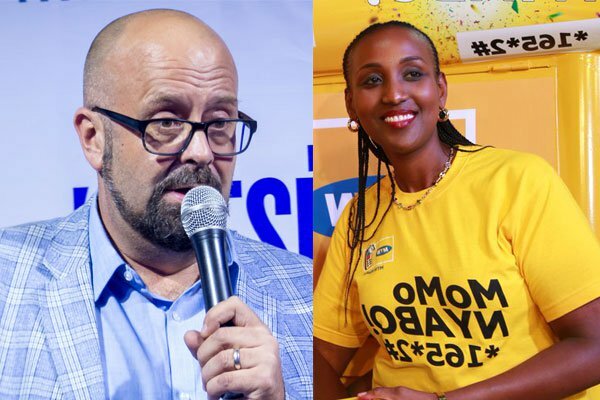 The biggest impact for the moment will be on Ugandan businesses which have not been able to sell goods to Rwandans, and Rwandans who cannot access food, education, and healthcare in Uganda.